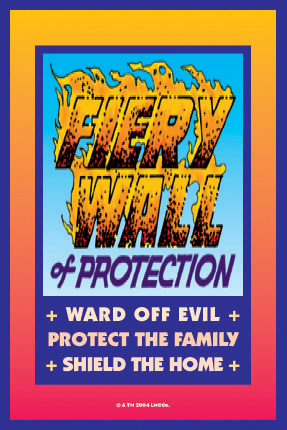 "Fiery Wall of Protection is said to be the best answer to malicious spells directed against you and your loved ones -- and it also puts up a powerful shield against gossiping co-workers or jealous rivals. It is not intended to create harm, only to give protection, thus it is safely used by folks who want to keep their 'karma' pure." 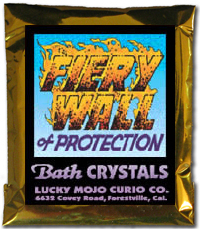 The labels shown here are from packages of Lucky Mojo brand Fiery Wall of Protection crystal salts for bathing, putting in the laundry, or performing a ritual floor wash, self-lighting incense powders for fumigating an area to be cleared of troubles, sachet powders for sprinkling in the pathway and "killing" a jinx or trick that has been put down, and anointing oil for dressing candles. Like the rest of the Lucky Mojo line, these products contain genuine herbs and herbal essential oils, not synthetic fragrances. The ingredients in Fiery Wall of Protection formulas may include Rue, Sandalwood, Black Snake Root, and other herbs and essences. Lucky Mojo labels are adapted from vintage packaging and in many cases the images are as traditional as the ingredients themselves. 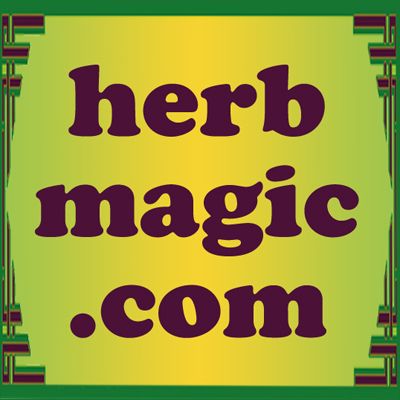 There are many types of magic spells for protection; Fiery Wall is but one of hundreds of folkloric magic spells. There are also several ways to lay down tricks with these spiritual supplies that stop short of doing a full-fledged ritual magic spell. The simplest way to use the spiritual supplies is to spread them around an area that you wish to protect. Use the Oil to dress yourself or any wooden furniture or metal surfaces such as door knobs. The sachet powder is deployed by sprinkling it in carpets or laying down piles in the corners of the room. The incense powders can be burned at any time to set a shield in place in a given area. The mineral crystals can be applied to an area in the form of a floor wash or sprinkled into the rinse water of your laundry, to dress the clothes you wear when dealing with people from whom you desire protection. Many people utilize these spiritual supplies on a regular or ongoing basis, but they can also be used to perform a very powerful traditional spell of ritual banishment against an enemy or troublesome person. Basically, this spell is an enactment of the results one desires, with candles standing in for the participants, somewhat after the nature of doll-babies. Often the major reason to perform this spell is to remove a bad person from a social situation such as the family or a work site. Depending on how wicked the "Perpetrator" is, this removal can be performed with differing degrees of severity, from very mild to very extreme. The form in which i learned this spell is Catholic Christian hoodoo and it calls for the total and unconditional removal of the unwanted person from life. However, it can be adapted for use in other religious -- or completely non-religious -- contexts, and with a lessened degree of severity, if circumstances warrant mercy. Variations such as these arise because different folks have different reasons to work such a spell and because the conditions they are working under may differ. As a rite, the Fiery Wall of Protection spell uses a full panoply of spiritual supplies, but in a pinch, you can get by with only the candles and Dressing Oils, and you may substitute other ingredients as you see fit. Substitutions are explained below, after the basic form of the spell, under the headings of "Variations." In addition to the items here, you'll need a clean white handkerchief, a small square of tin foil, and a photo of the perpetrator; if no photo is available, write his or her full name 9 times on a small piece of clean paper; if his or her name is unknown to you, write "The Evil One" 9 times on the paper. Now you are ready to begin. Make the Fiery Wall of Protection incense powders into cones on an incense burner. Place the Graveyard Dirt in a china-ware saucer. Next, prepare the White Cross Candle for the Protectee. With a nail, carve the words " Saint Michael Archangel Protect Me [or the name of whomever you are working for]." Dress the Candle with Fiery Wall of Protection Dressing Oil. Dress the Angelica Root with the same Dressing Oil and place it at the base of the Candle. Around the central Candle and Angelica Root, lay out a circle of Fiery Wall of Protection Sachet Powder. Now prepare the 7 Purple Guardian Candles by carving upon them the names of 7 protectors. These may be 7 Saints, 7 people such as family members or co-workers, or 7 officials such as the Police, Fire Department, Child Protective Services, etc. -- or a combination of names from any of these three groups of entities. Dress the 7 Purple Guardian Candles with Fiery Wall of Protection Dressing Oil. 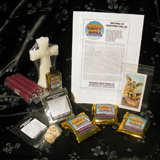 Place them in a circle right on the circle of Sachet Powder that goes around the cross Candle. Sprinkle them with a little of the powder, too. Place the Saint Michael Archangel Holy Card among them. Finally, prepare the Black Perpetrator's Candle. With a nail, carve his or her full name (or the "The Evil One") on it on one side and the words "Keep Away" or "Get Away" on the other side. Do not dress this Candle. Place it off to one side, outside the circle of Candles, on top of his photo or name-paper. Place the saucer of Graveyard Dirt next to his Candle. Light the Candles in this order: The Purple Guardians first, then the White Protectee within the circle, then the Black Perpetrator's Candle far outside the circle. Light the incense. While it burns, say out loud your prayer or wish for protection and call upon Heaven for aid. Ask for the intercession of Saint Michael Archangel, who guards Heaven with a sharp, cutting sword, and enjoin him to protect the one who needs protection with Seven Guardians, whether they be Guardian Angels or Human Guardians (including the Police, if you think this will be necessary). Let the Candles and incense burn until the black Candle is half-burned. Then pick that Candle up and hold it in your hand. Take the perpetrator's photo or name-paper and lay it on the saucer of Graveyard Dirt . Set it on fire with the perpetrator's own black Candle and say, "Let your evil self be your own undoing!" When the paper has burned, turn the perpetrator's Candle upside down and extinguish it in the Graveyard Dirt and say, "Let your evil works be your ending!" Allow the rest of the Candles to burn until they go out. Gather up the Angelica Root , some Sachet Powder, and the Saint Michael Archangel holy card and wrap them tightly in the tin foil, making a small packet. Tie the packet up in the white handkerchief with four knots. 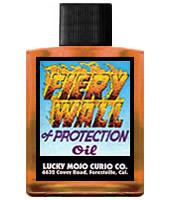 Dress it lightly with Fiery Wall of Protection Oil. To protect yourself, carry the packet on you; to protect your home, place it by your front door, to protect someone you love, give it to them to carry. Dress it occasionally with one or more conjure oils to keep it working for you. 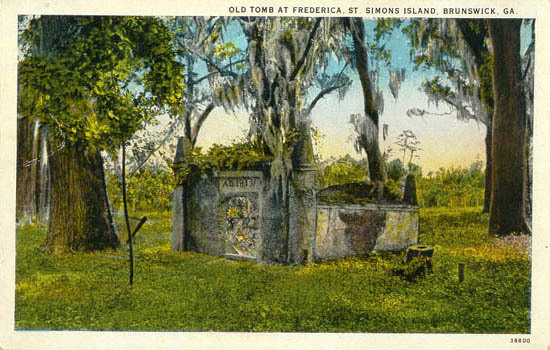 Take the left-over materials (melted wax, nail, and so forth) and the saucer of Graveyard Dirt containing the perpetrator's ashes and his extinguished Candle and carry them to a graveyard and throw them against a grave stone, being sure to break the saucer as you throw this mess. Don't say a word; just turn and walk away home and don't look back. People who work in a kind-hearted tradition may not want to use Graveyard Dirt to put out the light of the Perpetrator. Rather, they want him or her to "move on" or leave the situation -- to find somewhere else to go. If this is your desire, then you may change the spell to reflect this wish. Instead of Graveyard Dirt , get a saucer of water from a live, running river, creek, or stream. Set this up on your altar where the Graveyard Dirt would have been. Carve the Perpetrator's name on the black Candle, as described above, but instead of leaving the Candle undressed, dress it with Hot Foot Oil, which is intended to get someone to move away. When you come to the part of the work where you burn the Perpetrator's picture or name-paper, drop the burning paper into the saucer of water. 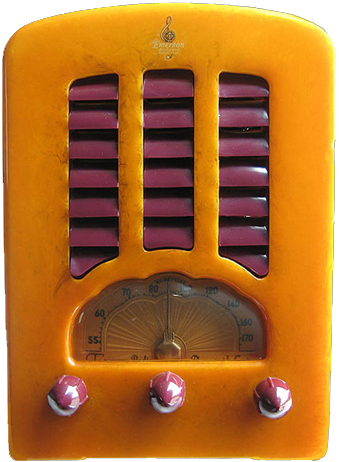 Pick up the black Candle and speak aloud your command, telling the Perpetrator that you want him or her to "move away" or "get out of town" or however you wish to phrase it, adding that, "Just as this water came from a running stream and will run without ceasing, so will you be forced to run and run until you leave this place." Then turn the Candle upside down and extinguish it in the water that already contains the ashes of the name paper. As the other Candles burn down naturally (or as soon as possible, if you can't do it while they are burning), carry the extinguished black Candle, nail, and the ashy water right back to the stream where you got it. Toss the water, Candle, nail, saucer, and all into the stream over your left shoulder and walk away without looking back. Since this is a African-American hoodoo spell and the practitioner calls upon Saint Michael Archangel for help, it goes without saying that this rite probably originated in the Southern folk-Catholic tradition around New Orleans, Louisiana. If you are of another religion, you can either substitute the deity of your choice (most religions have a protective deity), or call upon the spirit of a deceased person who would help you, such as your departed grandmother. If using a white cross-shaped crucifix candle in the center bothers you because you are not a Christian, you can, of course, substitute any other type of white Candle, such as a plain 6" offertory Candle or a human figure Candle. As originally presented, this particular protection spell calls for a circle of purple Guardian candles to be burned around a white candle representing the person you are protecting (the client or yourself), with a black candle for the evil one outside the circle to represent the perpetrator. Inside the curcle, alongside the white candle there are items placed to help the client, which will later be given to her to be carried in a mojo bag. What i do when there is a family involved -- say a mother and her children -- is to burn a small candle for each person in the family. They need not all be crucifix candles -- they can be little 4" candles to represent the children, and they should be tied to the larger (mother's) crucifix candle with thread before they are lit. Do you envision how that would work if the client was a mother and her child? You'd tie the girl's candle to the mom's and have a root and other things for each, but the mom's is the bigger root, of course. If it is a group of adults, rather than a mother and her children, that you wish to protect, you can use as many 4" candles as you have people and tie them all together, with or without a "leader" candle. In order to be able to create protection spell in the form of an individual mojo hand for each party in the group, you want to add one Angelica Root and a picture of Saint Michael Archangel (or a Saint Michael Archangel holy medal or a protection talisman of King Solomon, or whatever you choose for that purpose in addition to the root) for each person, plus a personal item for each person -- so that at the end you will be able to make up a bag for each one. If you do this for a woman with three children, you end up with four bags -- and each bag can be a bit different in contents, with attention paid to the identity, age, and gender of the children, as long as you use one Angelica Root for each individual. If you want to keep the wax off the items destined to go into the bags and they make a big pile that would be too close to all the candles, you can put them in a covered dish under the central family candles (under a tipped-over saucer or bowl is fine) and then, when the candles have finished, fix and prepare a packet for each family member. No matter how many people you want to protect, you should do the work all at once -- do NOT split your attention, focus, or purpose by making a separate spell for each client, because, for one thing, if you do that, you are frittering away the power of your angry justice work on the perpetrator candle, which must be handled decisively and FINALLY and FOR ALL TIME when you put it out and send it away. Divination of magic spell outcomes by looking at the wax that remains is an important part of candle magic. As you work this magic spell for protection, observe the way the wax of the seven purple guardian candles runs. If the wax from all seven purple guardian candles closes in around the white crucifix candle at the end, then the guardians you have chosen will provide excellent protection. If the wax from any of the guardians runs away from the white crucifix candle at the center, that entity will not be a good protector or guardian. The spell can be repeated, changing the names of the guardians until you get the results you want in terms of how the purple wax melts. Also observe the wax from the black candle, prior to your snuffing it out. If the black wax runs away from the white crucifix candle, you can feel pretty well assured that the guardians will be effective and that the perpetrator will leave the scene. If the black candle flared up a lot before being put out or if it was difficult to extinguish, the perpetrator is strongly resisting your attempts to remove him or her from the situation. If the black wax runs toward the white crucifix candle, and especially if it gets past or between the guardians, then you can figure that you have a persistent situation on your hands and may want to repeat the spell. Order Fiery Wall of Protection Oil from the Lucky Mojo Curio Co.
Order Fiery Wall of Protection Incense from the Lucky Mojo Curio Co.
Order Fiery Wall of Protection Bath Crystals from the Lucky Mojo Curio Co.
Order Fiery Wall of Protection Sachet Powder from the Lucky Mojo Curio Co.
Order Fiery Wall of Protection Vigil Light Candle from the Lucky Mojo Curio Co.
Order Fiery Wall of Protection Spell Kit from the Lucky Mojo Curio Co.
Order Fiery Wall of Protection Mojo Bag from the Lucky Mojo Curio Co.